Effortlessly manage your websites to be authenticated using the Echo. As online security becomes increasingly important, user authentication continues to become more complex and time-consuming for users. We set out to simplify user login by building EchoLock, a pragmatic and secure way to authenticate users. 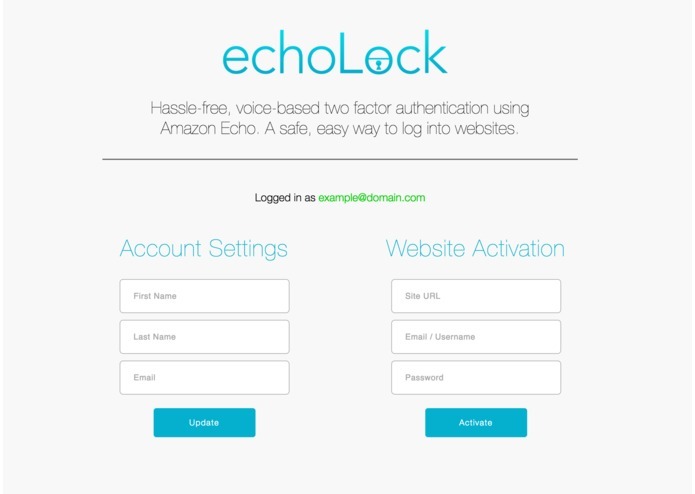 EchoLock is a hassle-free, two-factor authentication system that leverages the convenience of the Amazon Echo. With the EchoLock Google Chrome extension, users are offered a non-intrusive experience for accessing the sites they love. The Chrome extension is able to directly interact with the user and store hashed passwords into our MongoDB database. 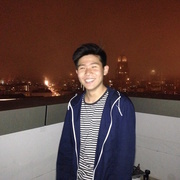 As they are surfing the web and asked to login to one of their websites, EchoLock is able to detect if the password is stored in our database, and makes a call to our API on our EC2 server to activate the Echo. Upon activation, the Echo asks the user if they would like to login, providing a seamless and secure experience for the user.